This article first appeared in the Spokane Journal of Business, February 28 2019. By Mike McClean. Chicago-based Boeing Co. is signaling it likely will delay announcing until next year its much anticipated new aircraft line referred to as the new middle-market airplane, or more informally the 797, says Larry Krauter, Spokane International Airport CEO. That delay could work to the advantage of Washington state’s efforts to convince Boeing to manufacture the plane within the state and quite possibly bolsters Spokane’s case that a significant share of the 797 manufacturing operations could be based here, Krauter says. Krauter was appointed recently to the governor’s Choose Washington New Middle-Market Airplane Executive Council, which is tasked with convincing Boeing to choose Washington state for the design, production, and final assembly of the all-new aircraft. He’s also the chairman of the West Plains-Airport Area Public Development Authority, a tax revenue-sharing agency formed jointly by the city of Spokane, Spokane County, and Spokane International Airport to fund infrastructure to promote economic growth. French also is a member of the public development authority board. Todd Mielke, president and CEO of economic development organization Greater Spokane Inc., says such a facility could be the hub for thousands of good-paying direct and support jobs, including fabricators, machinists, welders, maintenance and operation personnel, administrators and managers, engineers, information technology professionals, and warehouse workers. Boeing announced at the 2017 Paris Air Show that it was studying a new airplane design that would fill a market niche between its 737 line and its larger, long-haul 787 Dreamliner. The 797 aircraft would seat 220 to 270 passengers and have a range of about 5,200 nautical miles, the company said. By comparison, Boeing’s 737 MAX series, its latest iteration of the 737, seats 138 to 230 passengers and has a range of up to 3,800 miles. Krauter says Boeing is going through a diligent process to define the 797 to best fit customer needs for a middle-market plane. Due to anticipated competition from other plane makers for the market niche Boeing wants to fill with the 797, Krauter says Boeing likely isn’t in a position to defer the envisioned production date, and that creates potential advantages for Washington state and the Spokane area. That means the manufacturing site selection could be rapid once Boeing announces a decision to build the 797. “Boeing is going to have to take advantage of existing infrastructure, both intellectual and physical,” Krauter says. He contends Spokane has a compelling 1,200-acre site on the west side of the airport, and infrastructure improvements, including a rail spur and a truck-rail transfer facility, are planned or under way within the Public Development Authority district. Also within the district, federally designated opportunity and trade zones could provide economic development incentives to enhance the manufacturing supply chain for such a major aircraft production, he says. Krauter contends Boeing could bring in raw materials and subassemblies and manufacture a flyaway product at one potentially shovel-ready site here. Krauter replaces Robin Toth, formerly of GSI, on the state’s NMA council, which falls under the purview of the Washington state Department of Commerce. Toth is now the state’s aerospace sector lead for the Commerce. She couldn’t be reached immediately for comment. Gov. Jay Inslee also recently appointed former Washington State University Spokane chancellor and former state Senate majority leader Lisa Brown to be the Commerce department director, adding more Spokane roots to the department. GSI’s Mielke says more than 130 companies supporting the global aerospace industry are operating in the Spokane area, making this the fifth largest aerospace cluster in the U.S. He says many of those companies are part of Boeing’s supply chain. French says one such company, Kent, Wash.-based Exotic Metals Forming Co., plans to expand in two phases on its 57-acre Airway Heights campus within the Public Development Authority’s jurisdiction. 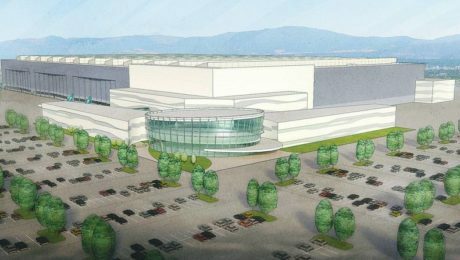 Each addition will be similar in scope to the 150,000-square-foot plant the company built there in 2015, according to environmental planning documents. French says the successful recruitment of Seattle-based online retailer Amazon.com Inc. within the Public Development Authority district only helps bolster Spokane’s case for a major Boeing manufacturing facility. This excerpt is from an article that first appeared in The Spokesman-Review, Sun., Feb. 3, 2019 at 4 a.m. By Amy Edelen and Becky Kramer. Exotic Metals Forming LLC has submitted plans for future expansion on the West Plains. 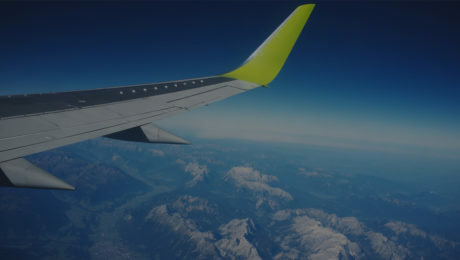 The Kent, Washington-headquartered company specializes in aerospace sheet metal fabrication and design, working primarily with titanium and nickel alloys. Exotic Metals has a 150,000-square-foot industrial building in Airway Heights. Company officials didn’t return calls last week, but documents filed with the city of Airway Heights indicate Exotic Metals is planning two expansions on the western portion of the 56.6 acres of property it owns at12821 W. McFarlane Road. The first phase would be construction of a new manufacturing facility and employee parking lot, which could begin as early as this year for completion in 2020. The second phase would mirror the first expansion, but the company doesn’t have a timeline for that work. Exotic Metals would bring on about 150 staff with each expansion phase, according to company documents. Company officials have submitted a checklist for the planned development under Washington’s State Environmental Policy Act. Airway Heights officials have asked for additional information about traffic impacts.